Forgive me but I'm going to use the C-word. There are only 56 days to go....sorry if that's come as a bit of a shock but there you go. There's so much to do before then, and it's not too early to start planning. I don't know about you but I've already been Christmas shopping. I get into a total panic if I don't have most of my presents by the end of October so I always start early...I know, you hate me don't you? But for most people that's only the start of Christmas planning. There's all the making arrangements for family visits, juggling time with the in-laws, grandparents and friends, buying tickets for pantomines, mince pie baking, decorating the house and and deciding who you're going to invite for Christmas dinner, and that's before even deciding what to cook! If you're divorced or separated there's also the stress of deciding where the children spend their time, and what to do when they're not with you. And if you're thinking of looking for love over the Christmas period eHarmony is on hand with advice about relationships and dating. Yep, it's an expensive and sometimes difficult time of year and comes at a time when many families are already tightening their belts and trying to save money. I'm very pleased to say I've got a fabulous competition prize to giveaway. The lovely people at eHarmony are offering a 3-course, gourmet meal for 8 people in this easy to enter competition. The prize is The Full Works menu from the fine food mail-order company Forman & Field and delivered to your door in time for Christmas. 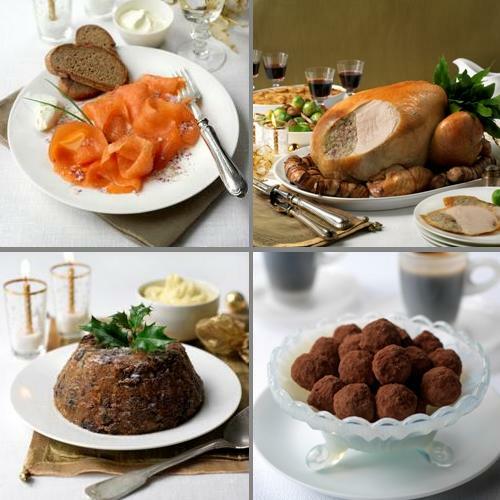 It includes smoked salmon, a free range bronze turkey, dauphinoise potatoes, Christmas pudding with brandy butter, chocolate truffles and a bottle of sparkling wine. It sounds amazing and I'd love to win it but unfortunately I can't enter! For an extra entry tweet this message: "I'd love to #win a slap-up #Christmas meal via the @eHarmonyUK competition on @notsupermum goo.gl/fb/20YFG "
The winner will be chosen after 6pm on Tuesday 6th November 2012. Good luck! 1. Competition is only available to individuals aged 18. 4. The prize is The Full Works menu from Forman & Field. 5. Cash or credit alternatives will not be offered. 6. The closing date for the competition is 6pm Tuesday 6th November 2012, entries after that date will not be valid. 7. My decision is final.